My black cherry tree is in bloom right now. This is its second year blooming and it has a lot more flowers than it did in 2014. 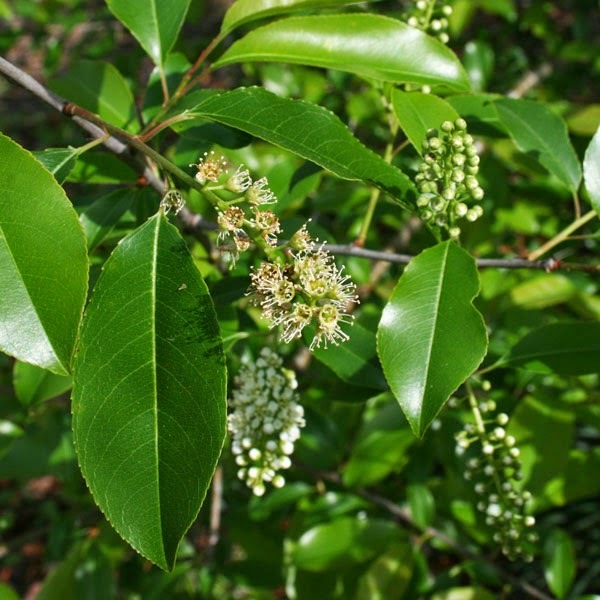 Our native black cherry, known more properly as Prunus serotina, is a good fruit, though small. It's bittersweet, with a wild flavor that's excellent for jams and wines. Of course, sweet cherry fruit is better, so I'm trying an experiment. I took a couple of scions from a sweet cherry tree and grafted them on to a side branch of the black cherry to see if they'll take. I read somewhere that grafting sweet cherry on to black cherry isn't supposed to work - but I have to try. If one or both of these take and grow this year, I'll start adding more and more. Black cherries can grow to 60' in height very quickly, so I need to graft soon before the tree totally runs away from me - it's already at least 20' tall and only been in the ground for three or so years. Dave, I had a black cherry cut two years ago that was 50' tall the trunk was over 4' wide. It has npw sent up suckers. 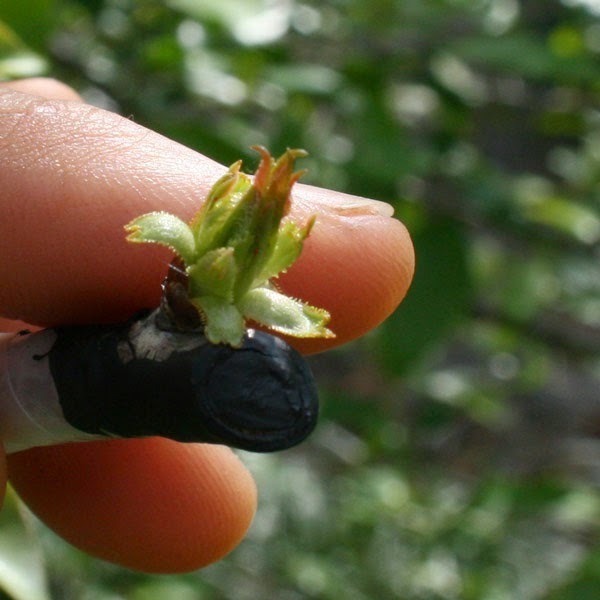 Do you know if black cherry can be coppiced or pruned to keep them short? Yes, it can be. It's supposedly very good for that. As for producing fruit besides, I'm not sure.